Viknesh Vijayenthiran September 13, 2018 Comment Now! 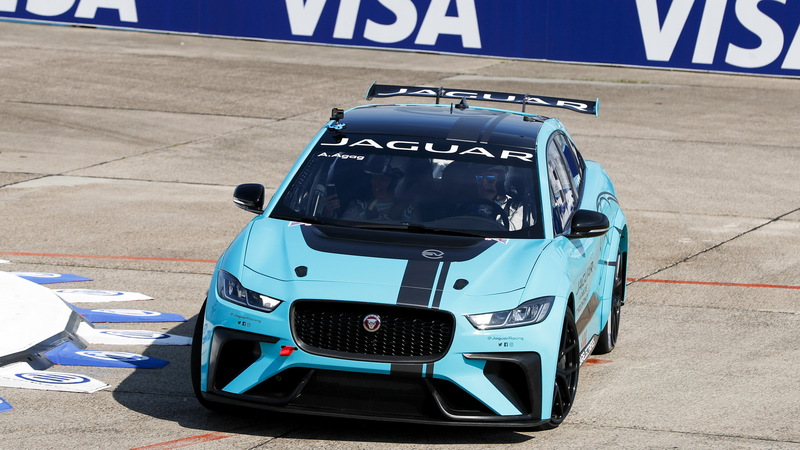 Jaguar is breaking new ground with one of the world’s first race series for production electric cars. 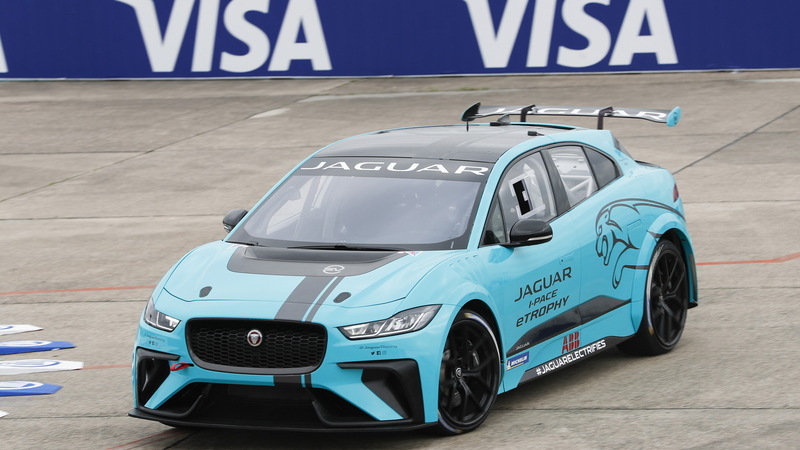 It's called the Jaguar I-Pace eTrophy, and the inaugural season coincides with the 2018/2019 season of the Formula E Championship, with the two series set to share the same street circuits. 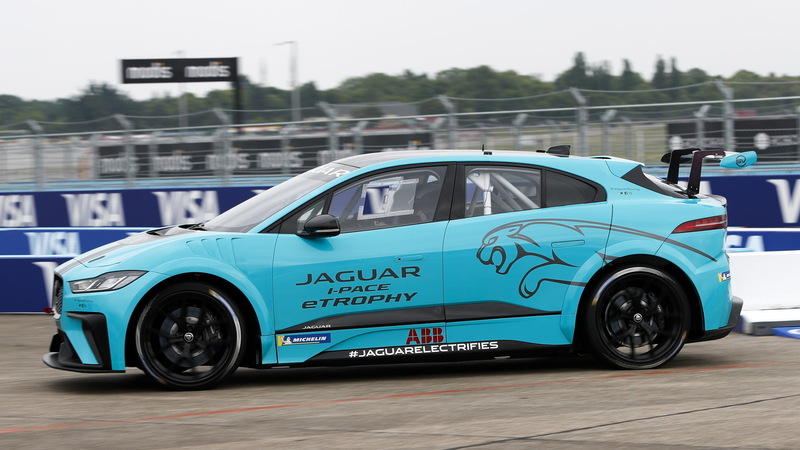 As the name suggests, the series will use race cars based on the I-Pace electric SUV. Naturally, there will be numerous modifications made, the main one being weight reduction. The cars, which will be specially built by Jaguar Land Rover’s SVO division, are expected to run the production I-Pace's powertrain, however. This means a 90-kilowatt-hour battery and 394 horsepower and 512 pound-feet of torque. 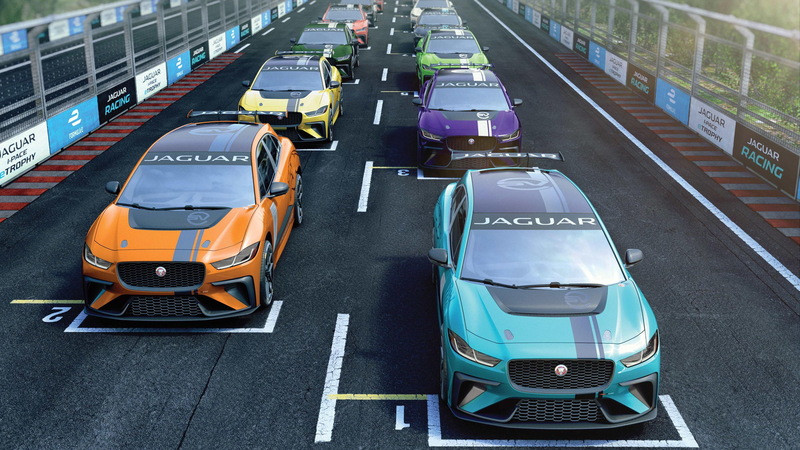 Each round of the Jaguar I-Pace eTrophy will consist of a single race lasting 25 minutes plus one additional full lap. This will follow practice and qualifying sessions, and the winner of the season will take home $650,000 in prize money. One of the first teams to commit to the series was Rahal Letterman Lanigan Racing. A total of 10 teams each fielding two cars are expected to line on the grid. Official testing is due to get underway at the Silverstone racetrack on September 24.